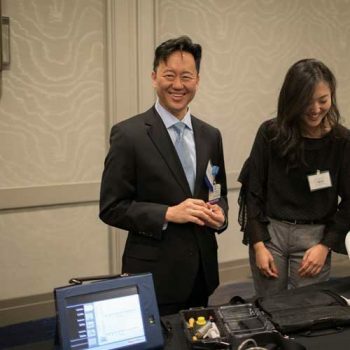 “Heart failure is one of the most common diseases in this country and around the world,” says Dr. Murray Kwon, an associate clinical professor in the department of surgery, surgical director of mechanical circulatory support devices and the surgical director of the intensive care unit at Ronald Reagan UCLA Medical Center. “Heart surgery is a field that is very innovative, so if you come to the UCLA Heart Failure Symposium every year you realize how fast the field changes. Today I gave an the example of a total artificial heart as a replacement for heart and biventricular failure, and contrast that with what’s just come on the scene, a BiPella, which does the same thing without opening the chest. In one generation, we’ve had such a huge monumental shift change. I think that’s why this symposium conducts, just to raise awareness of what’s available and out there in the community."